J. Jervis Wise practices criminal trial and criminal appellate law in state and federal courts, with a large portion of his practice devoted to capital cases and federal criminal cases. He is Florida Bar Board Certified in Criminal Trial Law. 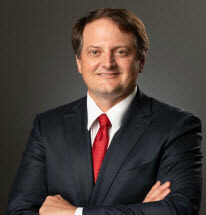 Throughout his career, Wise has served as lead or co-counsel in several hundred criminal cases, representing clients in jury trials and in appellate matters on charges ranging from DUI, RICO and RICO conspiracy, federal drug charges, white collar crime charges, and first-degree murder. He has secured not-guilty verdicts in jury trials on charges ranging from First-Degree Murder, to federal drug offenses, to Driving Under the Influence. In the appellate realm, Wise has obtained reversals of convictions or sentences for his clients in state and federal appellate courts. In addition to representing clients in criminal and potential criminal actions, Wise also regularly provides appellate and trial support to other attorneys. Wise is admitted as a member of the Florida Bar, the United States District Court for the Middle District of Florida, and the United States Court of Appeals for the Eleventh Circuit. He currently serves on the Middle District of Florida’s Criminal Justice Act Panel. Wise is a member of the Pinellas Trial Lawyers Association, the Pinellas County Criminal Defense Lawyers Association, the Florida Association of Criminal Defense Lawyers, the National Association of Criminal Defense Lawyers, the Federal Bar Association, and The Goldburg-Cacciatore Inn of Court. He has been selected for the Florida Super Lawyers Rising Stars four times, most recently in 2016, 2017, and 2018. Wise earned his bachelor’s degree from the University of Florida and Juris Doctor from Stetson University College of Law, where he was a writer for Law Review. Additional published works include, “Preparing a Defense: Understanding Drug Crimes and Law Enforcement” in the treatise, Inside the Minds: Defense Strategies for Drug Crimes.